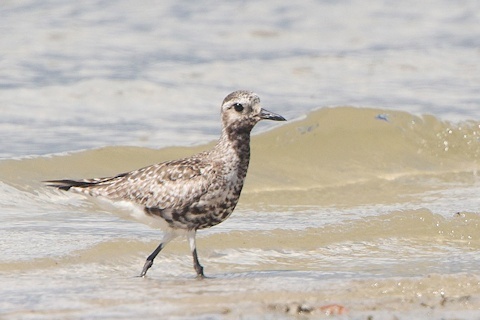 In 2008 on the first of October, Larry photographed a Grey Plover at Toorbul Point. A few days later the bird was gone before I could get there to see it. Six years later a Grey Plover has returned to Toorbul Point and this time I was able to get there in time to grab a photograph. I looked for two and a half hours before I found it and thought for a while that I might have to wait for another six years.